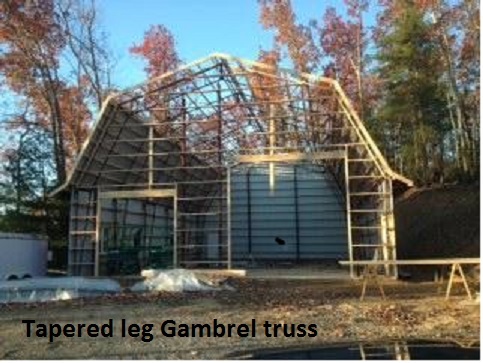 A “Gambrel” truss includes steel girders with steel columns available in straight leg and tapered leg versions. 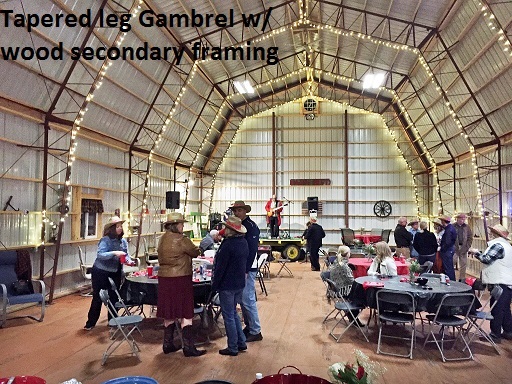 A “Gambrel” truss includes steel girders with steel columns available in straight leg and tapered leg versions. 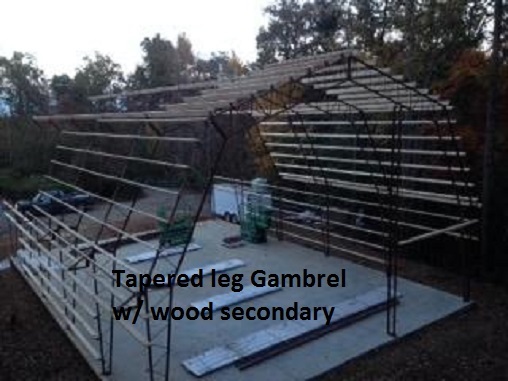 The Gambrel series tapered leg version is available in 24’, 30’, 40’,50’ and 60’ widths in eave heights from 8’ through 14’. Trusses are designed to be on 10’ or 12’ centers and available with or without a mezzanine. Available as a hybrid or all steel. Other options include half trusses (lean to) and self-supporting eave extensions (overhangs). 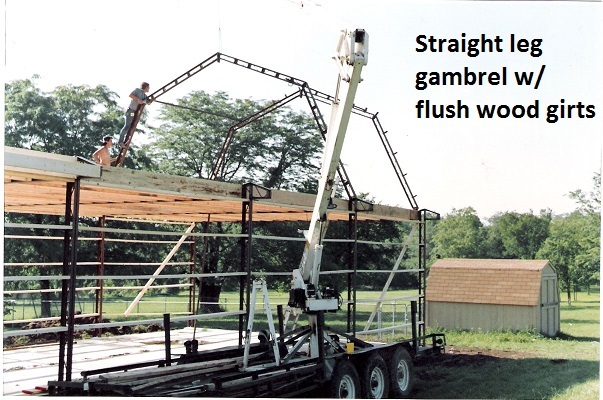 All Gambrel truss packages are available with a licensed engineered stamp for any codes and loads required.